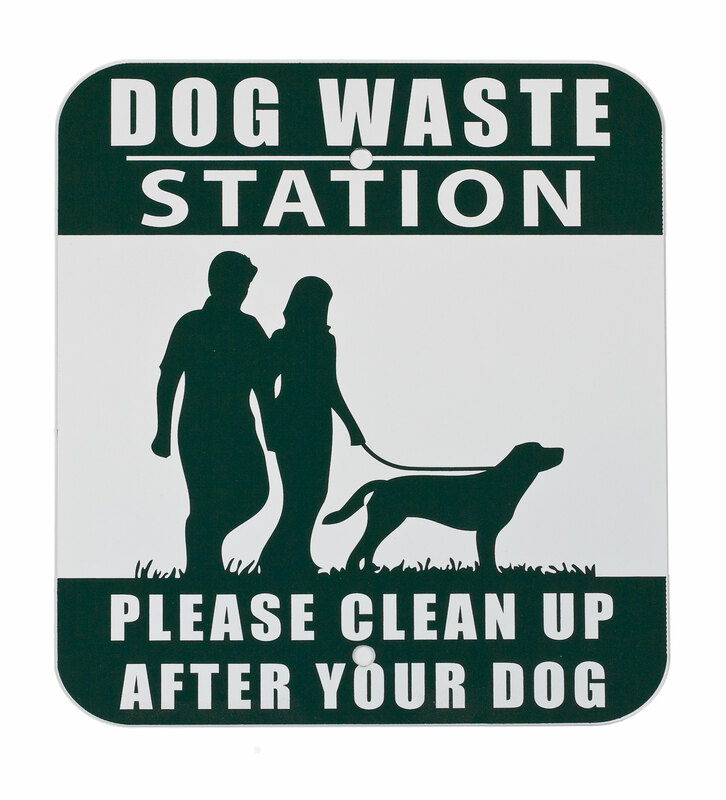 Dog Park Equipmentand Affordable Pet Waste Disposal Solutions at BYO Recreation! SOLID STEEL & ALUMINUM -A solid steel post supports commercial grade aluminum components for years of service. No rust. SPECIALIZED WASTE CAN- Built-in clamps hold liners in place. 22 degree sloped lid sheds water & self-closes. 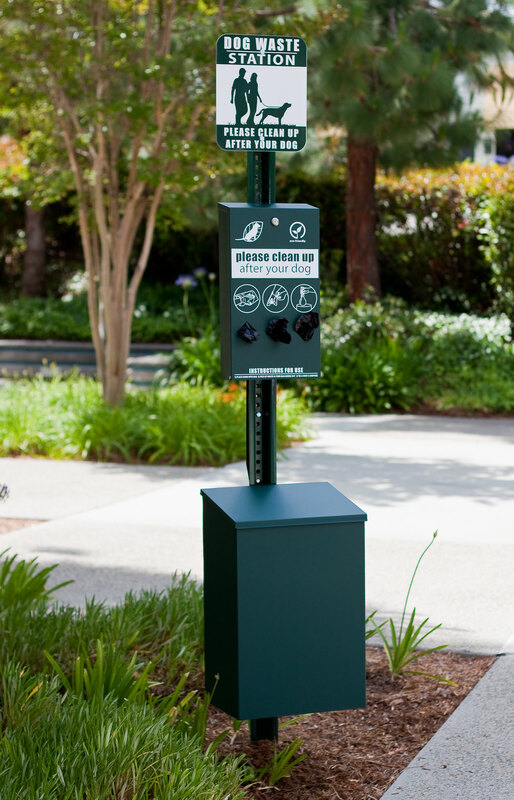 COMMERCIAL GRADE FINISH -Durable, powder-coated and UV-protected finish creates a professional image that lasts. 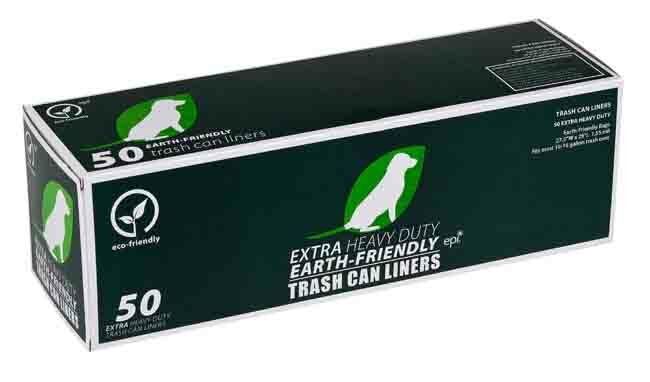 ROLL BAG STYLE REDUCES REFILL INTERVALS- With 3 poop bag dispenser openings that permit simultaneous dispensing of 400 bags, and an inner shelf that stores 2 backup rolls, refill intervals are not necessary as often. 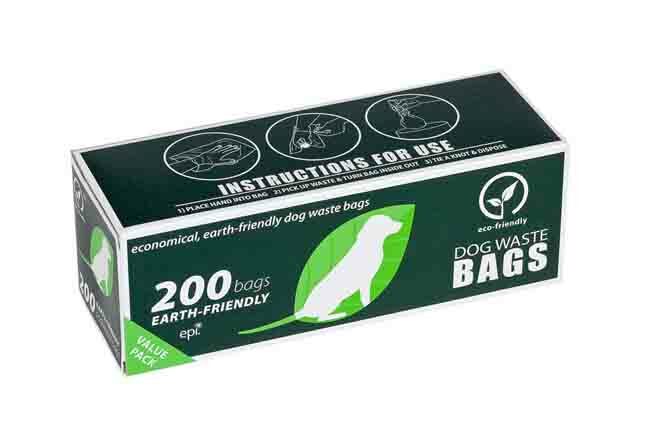 Roll Bag dispenser holds a total of1000 Pet Waste Bags!Dispenses 3 rolls (included) and stores up to 2 additional rolls (not included). 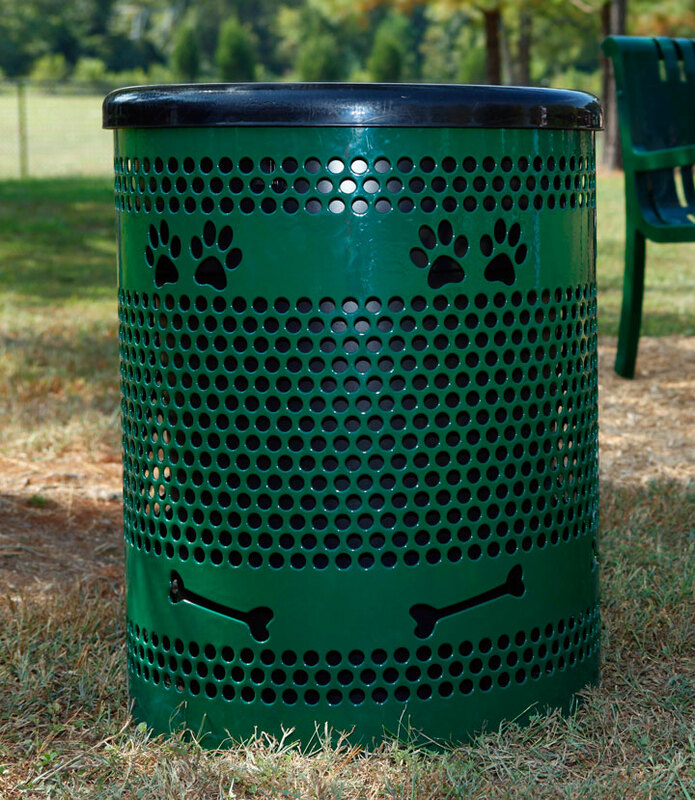 This dispenser holds more bags than any other poop bag dispenser currently available!